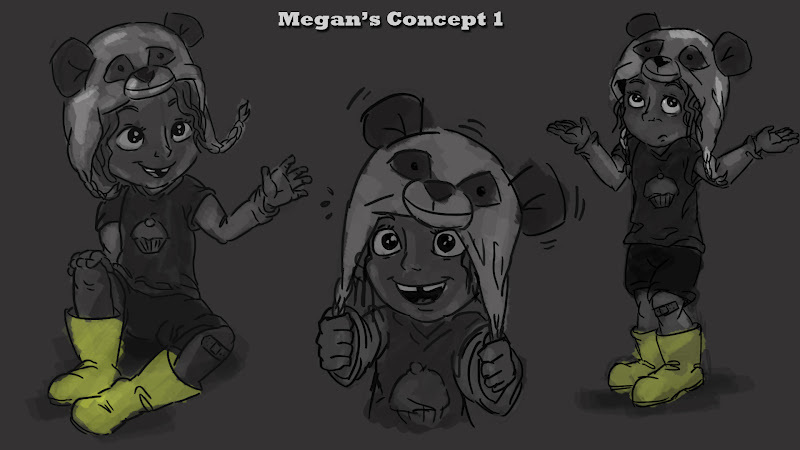 After asking people which face they like the most, they pointed me out the one with the panda hat so I decided to experiment with it. I like how random her clothing is and the fact that she's a tomboy. I can really see the oversized hat working as some sort of mask to hide her shyness and her pulling it up and down while she's talking.